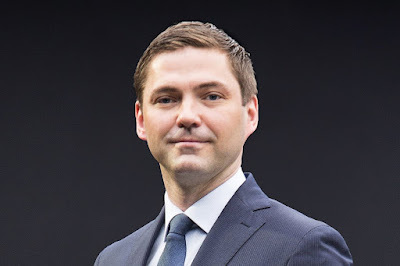 Rolls-Royce Motor Cars’ Asia Pacific Office in Singapore announced the appointment of Patrik Wiik as the company’s new General Manager. Patrik takes over this key role for the Rolls-Royce business in the region from Michael Schneider, who returns to Germany after three years working across the Asia-Pacific region. The regional office covers 29 dealerships across the region, in an area that stretches from India to New Zealand, excluding the Chinese mainland. Patrik brings with him more than 13 years of experience in the BMW Group, having held senior roles in marketing and dealer development at BMW’s Northern Europe offices headquartered in Stockholm, and an area of responsibility that spanned across Sweden, Denmark, Norway, Finland, and the Baltic States. Most recently, Patrik was Manager of Sales Planning, responsible for forecasting, volume planning and budgets. His regional experience makes him no stranger to navigating through different business cultures, a key expertise that will benefit him in similarly-diverse markets throughout the Asia-Pacific region. Patrik will be responsible for sales, product and volume planning in the Asia-Pacific region, and will be based in the Singapore office. He reports to Paul Harris, Asia Pacific Regional Director of Rolls-Royce Motor Cars.